Our Gehry Industrial Table Base mimics mid-century architecture with its handsome lines and detail. Hollow posts allow this base to be lightweight yet structurally strong. 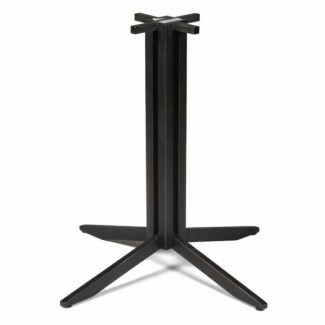 Our 4-prong pedestal base is made of iron and is available in a natural iron finish. Our Industrial Table Bases Collection has a lead time of 3 - 6 weeks from the time your order is processed.